This Doll dress class is a Three for One learning experience: Use your own sewing machine to learn how and when to use specialty and decorative stitches, get hands-on experience using Maggie's serger sewing machines, all the while making a very cute 18" American Girl Doll sized dress. These dresses are from Erin Hentzel's " A Dress For Every Occasion Doll Dress Boutique" book (required for class). Each Month one of six dress styles will be featured. Take all six classes and end up with a very well dressed doll! Supply list for each month will be emailed to students upon registration. This is a great skill builder for all ages (teens are welcome!) it is also offered as a parent/child class. Take all the classes or just one! 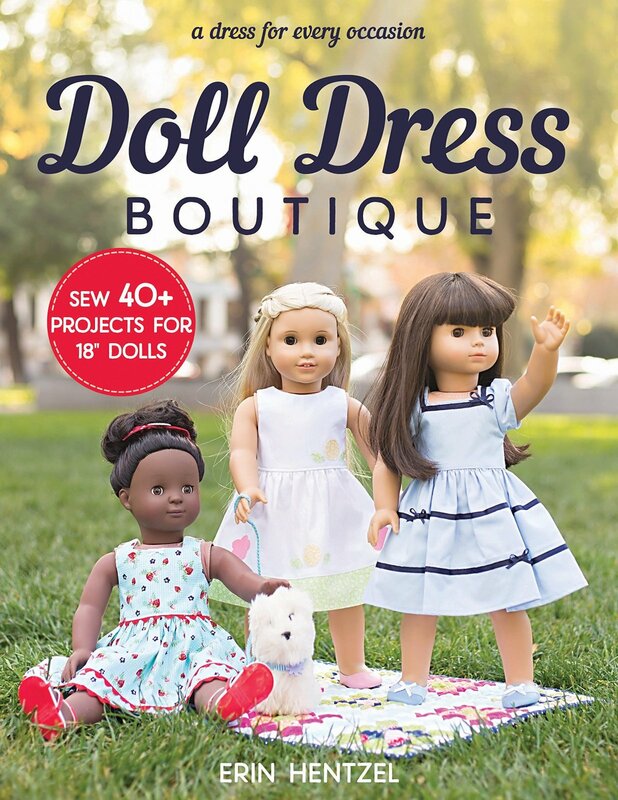 Requirements: The book: Doll Dress Boutique: Sew 40+ Projects for 18" Dolls - A Dress for Every Occasion By Erin Hentzel. Students will receive a 15% discount on the book and all materials for the class purchased at Maggie's. Sewing machine in good working order with needles, bobbins and the Operations Manual if you have it. If you do not have a sewing machine, one will be provided for you. There will be different fabric and notion requirements for each month. The supply list will be provided to students upon registration. Bring your lunch. Snacks are welcome!